It’s a very good tool for home security,baby monitor, nanny camera. 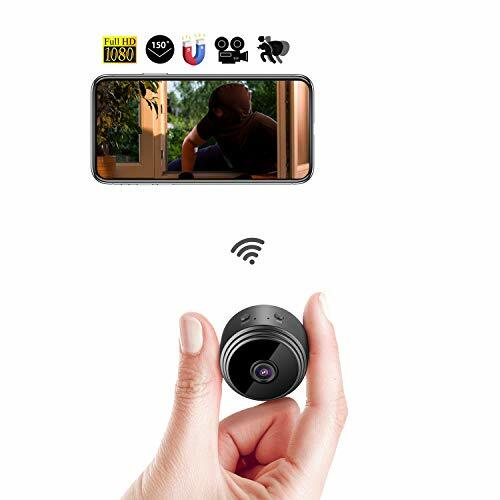 Wireless Hidden Spy Camera: Control color and brightness of the LED night light; Set a schedule to auto turn on/off the light automatically; Invisible IR light night vision; Real-time video recording and view; Store video on SD card; Time record; Motion detection alarm push, snapshot and record video; 24/7 record; Download and playback video from SD Card on APP. 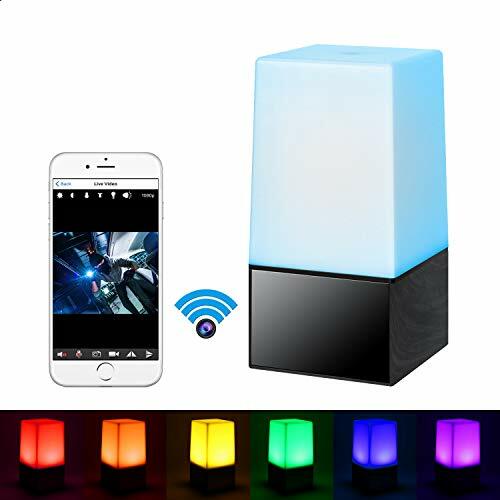 Wireless Hidden Security Camera: It’s not only a LED night light,but also a HD 1080P wireless hidden spy nanny camera. 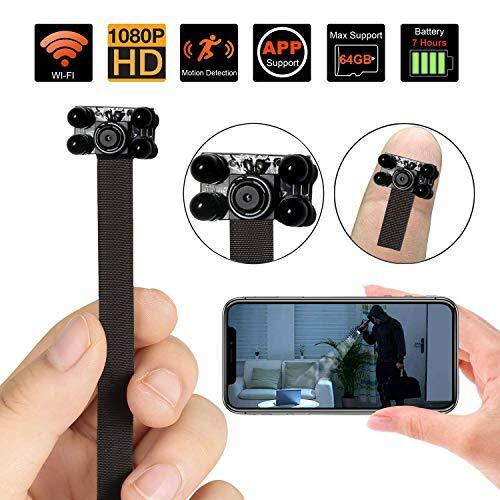 This covert spy cameras stream live video from day to night; bring you peace of mind for home security, office monitor;Built-in 3000mAh battery,record 6-hour videos with battery powered and easy to carry it. Night Vision: This Secret spy camera has built-in 10pcs infrared IR lights(IR lights aren’t light up in use),distance of night vision can be up to 5 meters.You can monitor even in dark surroundings. Support record while charging, you can monitor continuously when you are away from home via phone app. Motion Detection Alarm & Record: Receive instant push notifications together with snapshot on iOS or Android device when motion is detected. If you insert Micro SD Card (not including) into hidden nanny camera, you can also set alarm record on SD Card configuration to get more effective videos.it also support loop recording function. 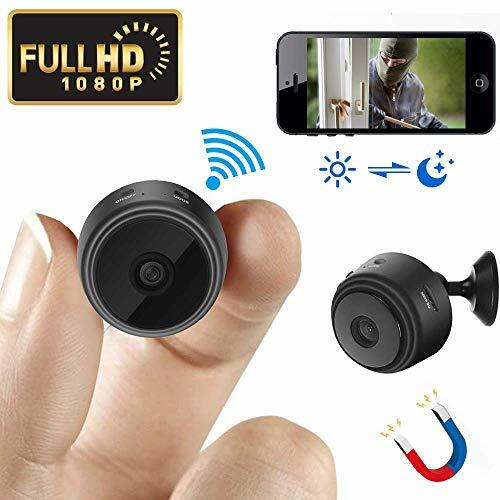 18 Months Warranty Quality: If have any question (refund, replacement) with our wireless hidden security cameras in 18 Months, please contact us. We will give you our best service and solve all your problems.